Kim Gravel is an entrepreneur, tv personality, public speaker and industry leader, but most of all she has a passion for people and seeing them rise. Her authentic, common-sense style has resulted in Kim being one of the most booked guests on The Steve Harvey Show and starring in the hit weekly docu-series “Kim of Queens” on the Lifetime Network. In 2016, Kim partnered with television and on-line retail giant QVC to launch her highly successful apparel line, Belle by Kim Gravel®, and a year later the Belle Beauty® cosmetic line. In only 2 years, Kim has grown her QVC brands from zero to over 60 million in annual sales, with projections reflecting continued record growth. In 1991, at the age of 19, Kim became one of the youngest Miss Georgias in the state pageant’s history. She went on to represent her home state in the renowned Miss America pageant and thus was asked to serve as US Goodwill Ambassador to Japan, where she spoke to corporations and the Japanese parliament. Combining her expertise skills of communication and leadership, Kim is also a certified Life Coach. Her compassionate yet straight forward "Dr. Phil-esqe" style keeps her in high demand as a Life Coach, mentor, advisor and consultant. 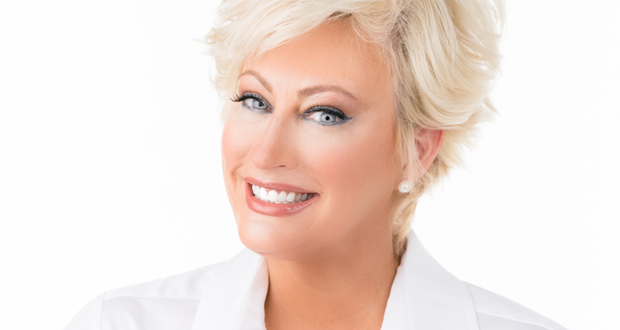 Kim is a sought-after keynote speaker, specializing in the areas of women’s empowerment, inspirational motivation, and beauty & image perception. She also hosts her own sold-out women's conferences annually in Atlanta. Kim lives in metro Atlanta with husband Travis and her two young boys, Beau and Blanton.